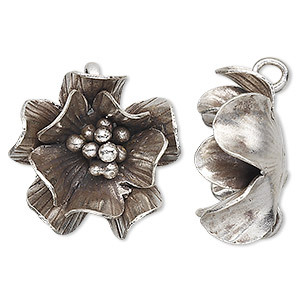 Charm, Hill Tribes, antiqued fine silver, 25x25mm flower. Sold individually. Item Number: H20-2384FD Have a question about this item? Incredible silver beads and findings created completely by hand in the remote mountain areas of Thailand. Made using centuries-old, traditional methods in distinctive Hill Tribes styling. These are made of a higher purity than 92.5% sterling silver. Because the actual range is 95-99% purity, these products are softer, have a whiter color and will not tarnish as readily as sterling silver. As these are wrought by hand, the sizes may vary slightly. 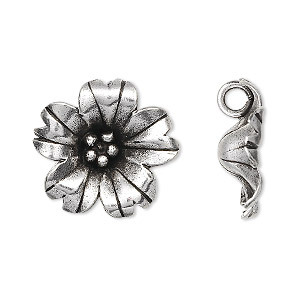 Charm, Hill Tribes, antiqued fine silver, 20mm flower. Sold individually. 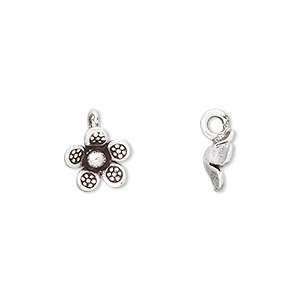 Charm, Hill Tribes, antiqued fine silver, 9x9mm flower with dots. Sold individually. Charm, Hill Tribes, antiqued fine silver, 10x8mm rose bud. Sold individually. 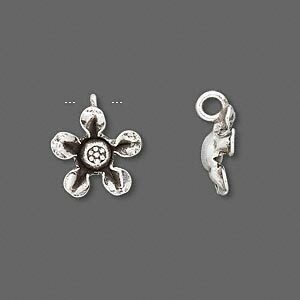 Charm, Hill Tribes, antiqued fine silver, 15x15mm flower. Sold individually. 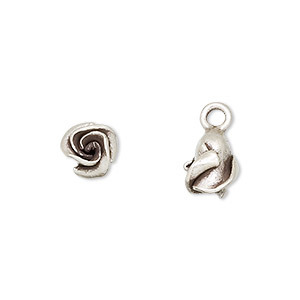 Charm, Hill Tribes, antiqued fine silver, 13x13mm curved-leaf flower. Sold individually. 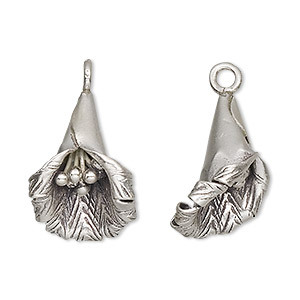 Charm, Hill Tribes, antiqued fine silver, 22x15mm hanging flower. Sold individually. Charm, Hill Tribes, antiqued fine silver, 14x14mm lined flower with round flat leaves. Sold individually. 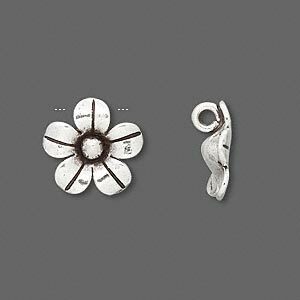 Charm, Hill Tribes, antiqued fine silver, 12x11mm flower. Sold per pkg of 2. 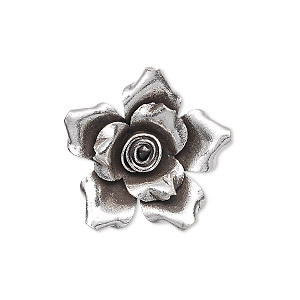 Charm, Hill Tribes, antiqued fine silver, 22x22mm flower. Sold individually. 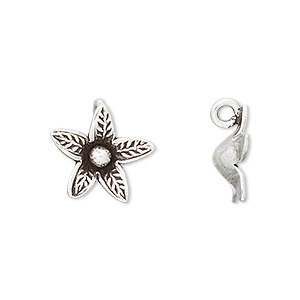 Charm, Hill Tribes, antiqued fine silver, 8x8mm single-sided flower. Sold individually.